Mark 14 – What is your Jesus worth? Good evening y’all. 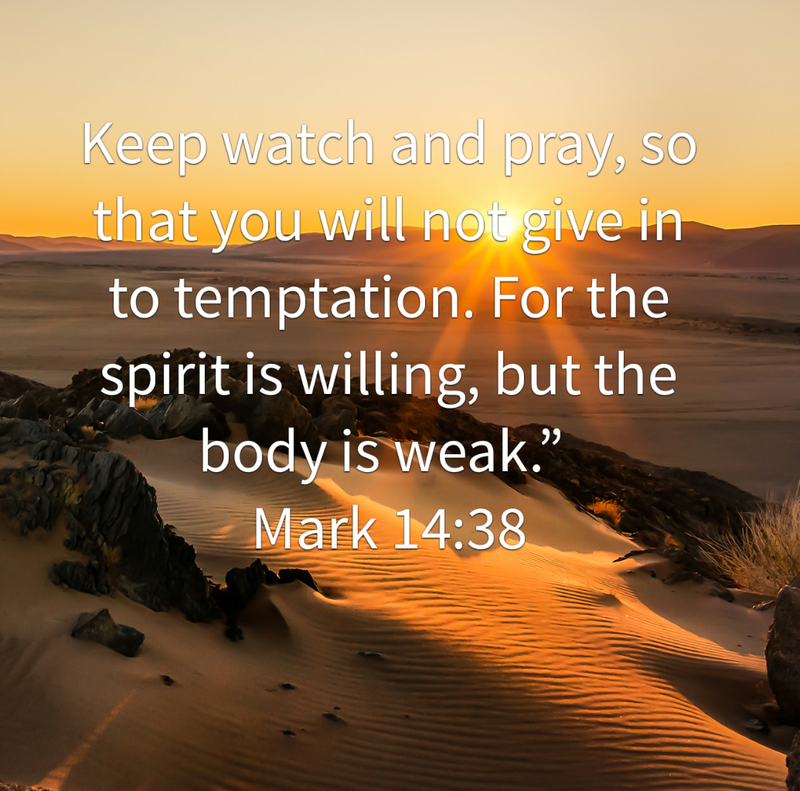 Today we are studying Mark chapter 14. Judas betrayed Jesus. Not for anything else but for the love of money. He wasn’t content with what he had. He was a man who lived and walked with Jesus. He had access to everything that Jesus had, yet He wasn’t content. I am almost tempted to believe that He never loved or truly understood Jesus in the first place. He might have just been going with the flow, because if he truly knew Jesus, he would have known that all his needs are provided for in Jesus. Once you have Jesus, you have it all. It’s interesting that when the schemes to kill Jesus was being plotted, the religious leaders didn’t go looking for Judas. They would never had have expected one of Jesus’ disciples to betray Him. As it happened, Judas went to them and sought payment for his betrayal. For a few minutes of personal gain, Judas chose money over Jesus…. It’s very easy for us to judge Judas and point fingers at him, but truly if we are honest with ourselves, we will admit that we do the same every now and then. How often do we allow ourselves be used by the enemy to betray Jesus? Every time we do the wrong thing purposefully or shy away from an opportunity to tell someone about Jesus, is that not the same as what Judas did? It’s like we betray Him over and over… sending Him to the cross again — sort off. What are we choosing over Jesus? For the first time, since I’ve been reading the account of Judas’ betrayal, something new caught my attention. It suddenly occurred to me that Jesus gave Judas an opportunity to change his mind about the betrayal. The reason I say this is found in verse 17 – 21 of the same chapter. Judas was at this meal with Jesus and the rest of the disciples and he still went ahead with the betrayal. If it was me in Judas’ shoes, I would have backed out asap, seeing as Jesus already knew that one of us would betray Him… “Who can say He doesn’t already know it’s me?” Those are the thoughts that would be running through my mind. I would have gone back to the priests immediately to tell them that I no longer want their money! But our brother, Judas, did not. His heart must have been so hardened for him to sit there with Jesus and eat. Yeah, I know that the prophesy about Jesus’ death would have had to happen, but did it have to happen through Judas? I might be wrong but I believe Judas allowed himself be used by the enemy. He took his focus off Jesus and decided to focus on money. The enemy is always looking for someone to work through and if we make ourselves available, he will come in and take over. That’s why Jesus told them to stay awake and alert lest they fall into temptation. Let’s check ourselves today and identify those things that we are choosing over God and ask for grace to repent and follow Jesus wholeheartedly. Good evening y’all. Today we are studying Mark chapter 13. In verse 7 Jesus tells us there will be wars and threats of wars but we shouldn’t panic. This is very comforting especially in our world today where people are being killed everyday for no reason, nation fighting against nations, terrorist attacks everywhere. Sometimes we become fearful and don’t want to even leave the house. We start to live in the fear of what might happen. If I go to the mall will there be someone waiting to bomb it? Reading this verse, made me realise that God doesn’t want us to live in the fear of all that’s happening around us. He specifically said do not be afraid. Another version says do not panic. Let’s stop living in fear but rather let’s allow the fear draw us closer to God and find the strength and courage to face the days ahead. Lets keep our eyes on Jesus. 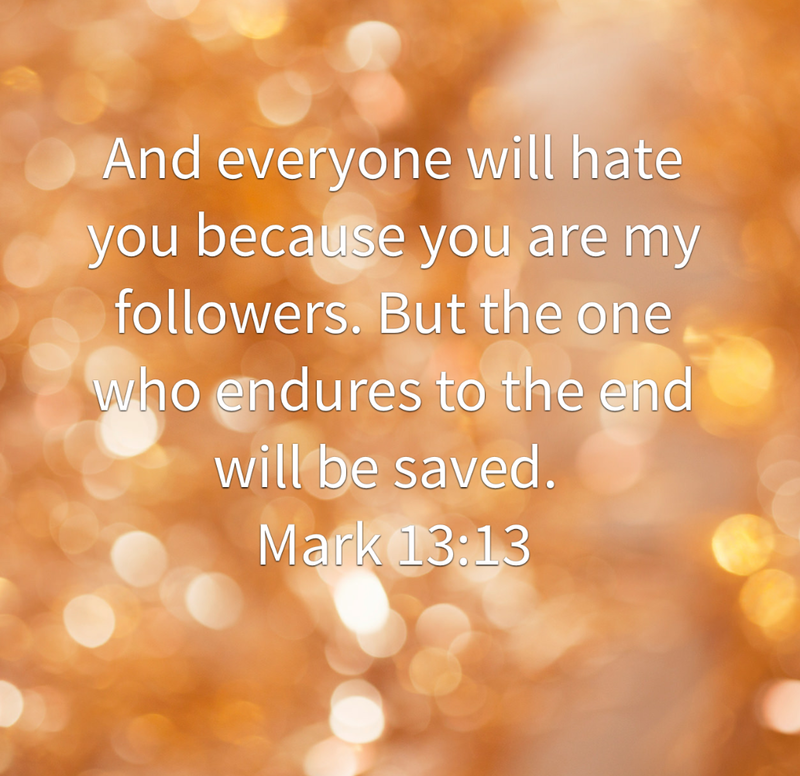 The later part of verse 13 says the one who endures to the end will be saved. That is, we mustn’t allow ourselves get distracted by all that’s going on. This is the time to build up our strength in God through study of the Word and prayer. We can’t wait for the day of battle to start preparing….now is the time so that when those days come we are prepared and can stand till the end. Proverbs 24:10 says If a man fails in the day of adversity, his strength is weak. Lets start building up our strength in God. We mustn’t loose sight of Him. Verse 22 tells us about false preachers and leaders rising up to lead a lot of people astray. It’s already happening. There are many false preachers claiming to be miracle workers scaming people left right and centre. Even christians are falling for their scams! So lets be on alert. Test everything we hear against the word of God. If there is ever a time when we need the Holy Spirit more, its now. This is the time for us to make sure we are constantly being led by the Holy Spirit so we can discern between what is of God and that which is false. The end is drawing nigh. Let us to reevaluate our lives and make sure we are living in accordance to God’s word. Also, let’s start sharing the gospel every opportunity we get. Jesus is coming soon. Don’t let anyone fool you by telling you they know when Jesus is coming. That’s a big fat lie. No one knows when He is coming, hence why we need to be watchful and alert. Make sure we are ready at all times and are found faithful when He comes. Dear Lord thank You for giving us your son Jesus to die for us. Help us be watchful and alert while we wait for your return. Strengthen our faith in you so we are able to stand till the end.In Jesus Name we prayed. Amen.